Welcome to our Cat Center! Here you can find all you need to know about bringing a cat or kitten into your family. All of our important forms and resources are on this page as well. If you should have any questions, please contact us at cats@daws.org. Our goal is to find you the perfect cat for your home. We recommend that you consider what age, size and temperament of cat would best suit your lifestyle and family. 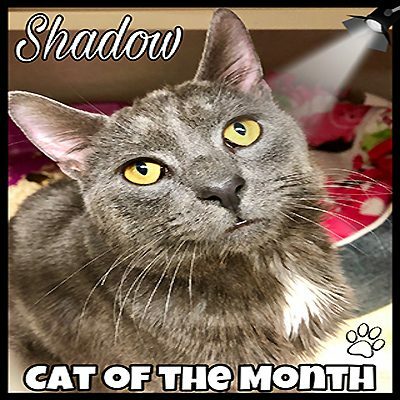 Also decide if you are ready to take on the daily responsibilities and financial obligations of pet ownership; then, check out our Cat Gallery to see our lovable, adoptable cats! Visit us during our open adoption hours, which are Monday – Friday from 6PM-8PM, and Saturday-Sunday from 2PM-4PM. Please note: Kittens, under the age of four months, are not kept at the shelter. They are housed in foster care off premise. Please see our Cat Gallery for available kittens or contact our kitten foster program at kittens@daws.org. If you are interested in adopting a cat, you will be asked to fill out an adoption application and visit the shelter to meet the cat. You may download an application and bring it with you the day you visit. You may also fill out an adoption application at the shelter if you prefer. An Adoption Counselor will review your application and help make sure the cat you are interested in is a good match for you and your family. Please be patient. We are making love-matches so it can take us a few days to review your application details. Please note: We may take up to three applications on a cat while we are getting them ready for adoption in order to select the home that we feel is the best match for that particular animal. Our adoption fee for cats (over 6 months of age) is $150. This fee includes a veterinary exam, vaccinations, and spay/neuter. Our adoption fee for kittens (under 6 months of age) is $200. This fee includes a veterinary exam, age appropriate vaccinations up to the date of adoption and spay/neuter.